Full Rim composite frame made steel and plastic. 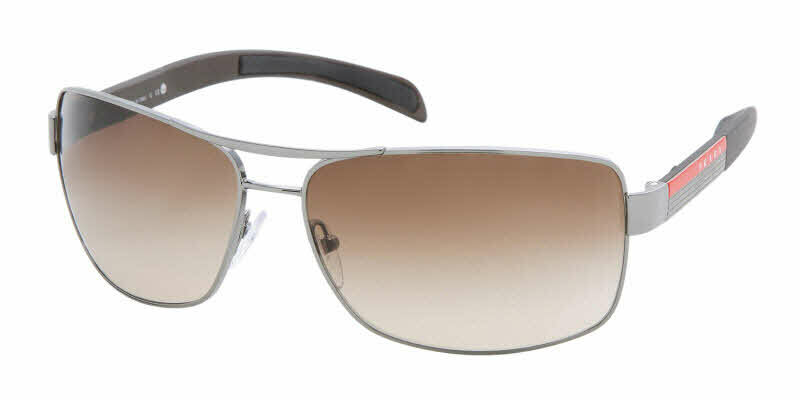 Frame front is hypoallergenic and nickel free stainless steel. Stylish, slightly wrapped, rectangle lenses are perfect for a variety of face shapes. Come in a Prada Linea Rossa protective carrying case with cleaning cloth. Awesome design and fit, favorite shape, can't go wrong. I will never buy another pair without comparing the price with frames direct . The glasses are perfect! FramesDirect.com is a great source for purchasing designer glasses. They have excellent prices. I bought these sunglasses for my LOVE and he loves them. They are a great value. Bought these sunglasses for my husband. He absolutely loves them, everything I wanted them to be! It's excellent sunglasses, high quality in frame and lenses, highly recommended.